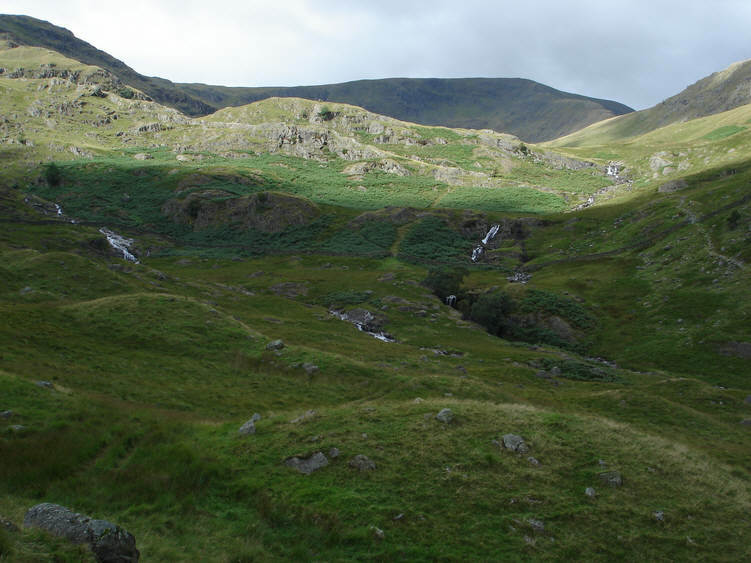 A view of Mardale Waters, an area of streams that all feed down into Haweswater. To the right is Blea Water Beck, to the left is Small Water Beck. The path that leads to Blea Water can be seen to the right.